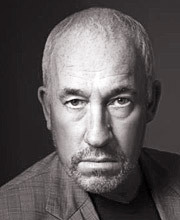 Simon Callow is one of Britain’s best-loved actors, known for Four Weddings and a Funeral on film; Amadeus in the theatre and countless other roles on TV, film and in the theatre. He regularly directs for the stage and is an acclaimed author – his biography of Charles Dickens was highly praised in 2012. Known for his outstanding tour de force one-man shows, Simon has toured internationally in Being Shakespeare and two programmes of Dickens.